Congratulations to all international students who have received their certificates at Eötvös Loránd University this spring. All graduation ceremonies had similarities and peculiarities which shows that our international students are not just part of the ELTE community but they are unique in many positive senses. 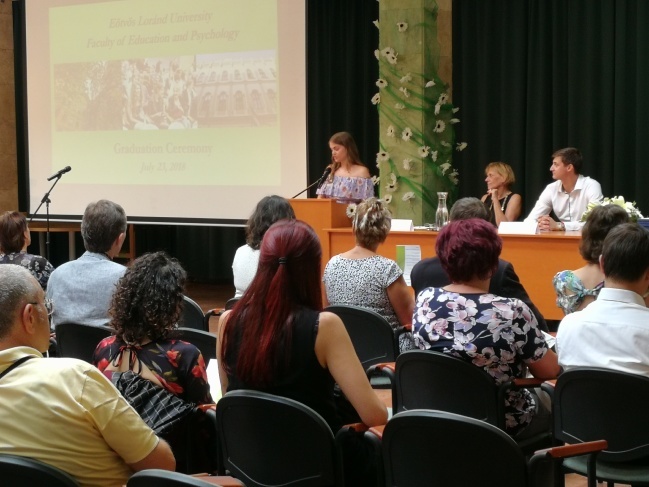 The Faculty of Law offers LLM programs in English that are designed to be second master specifications and organized for a relatively small student body. Accordingly, the graduation ceremony on 13 July was very intimate. 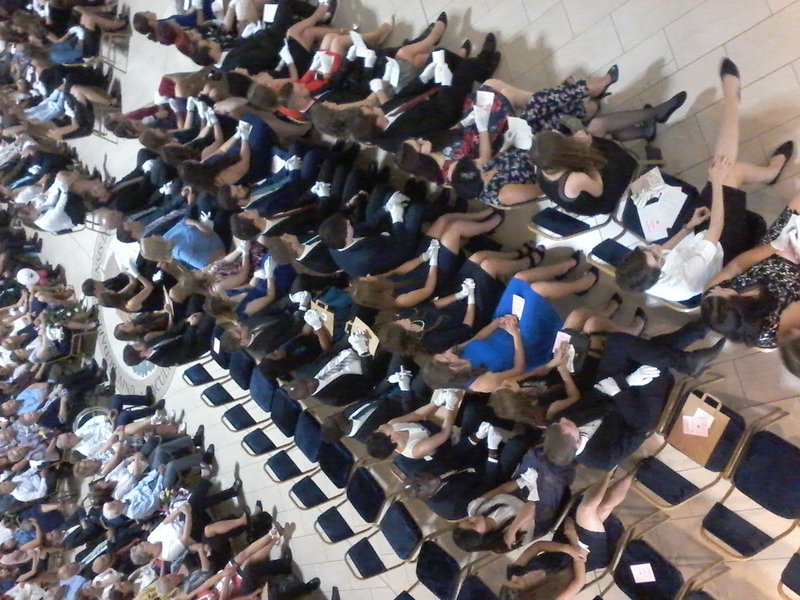 It took place at the prestigious Faculty Council Hall, where family, friends were sitting next to the graduates. 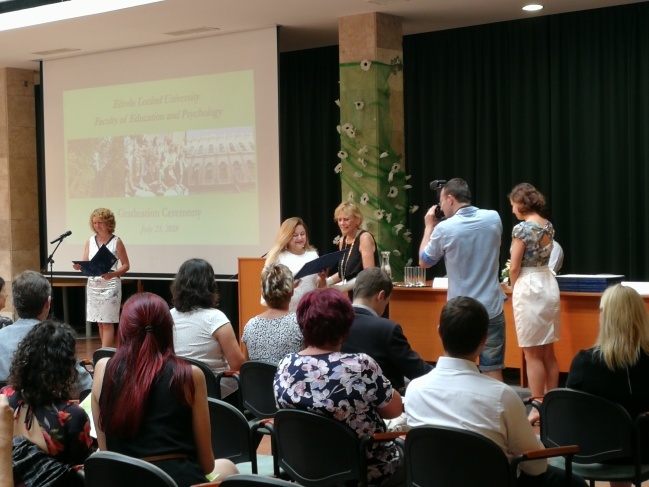 After the official handling of the diplomas, professors greeted the family members and congratulated the students. 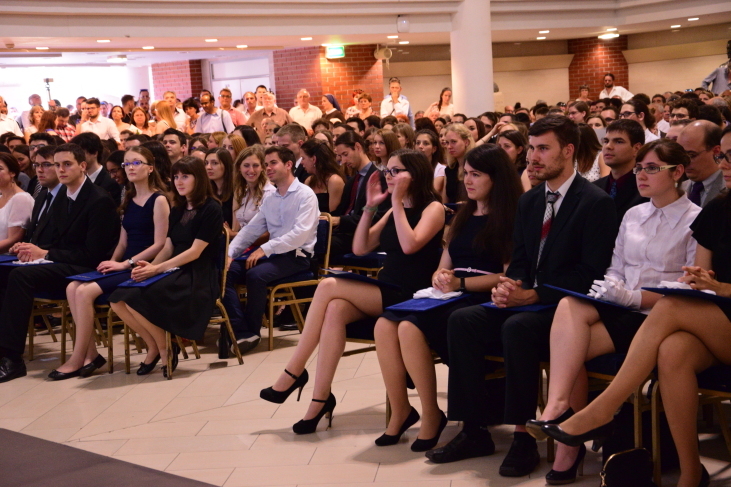 The graduation ceremony for the Faculty of Social Sciences was organized on Lágymányosi Campus on the same day. 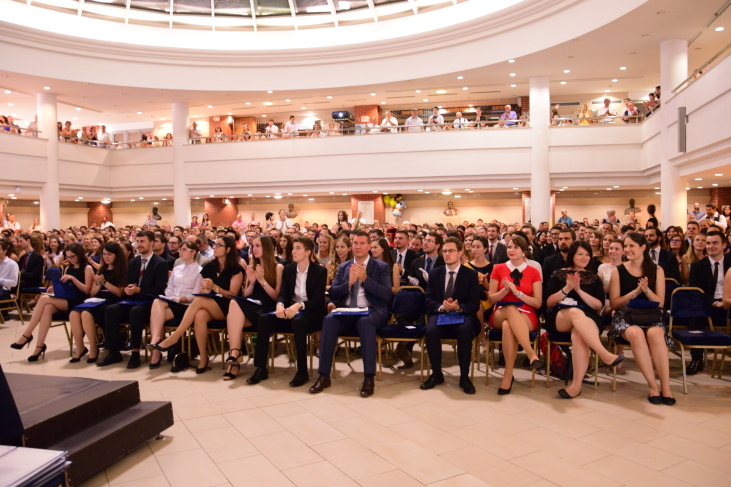 Here Hungarian and international students celebrated together and altogether three-hundred certificates were handed out. 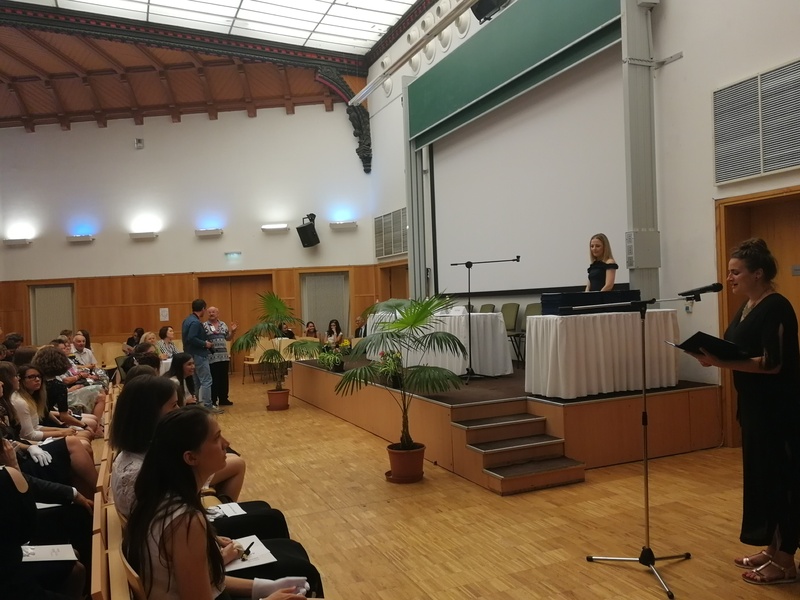 After the speeches both in English and Hungarian, musical performances warmed the hearts of the participants on that summer Friday afternoon. 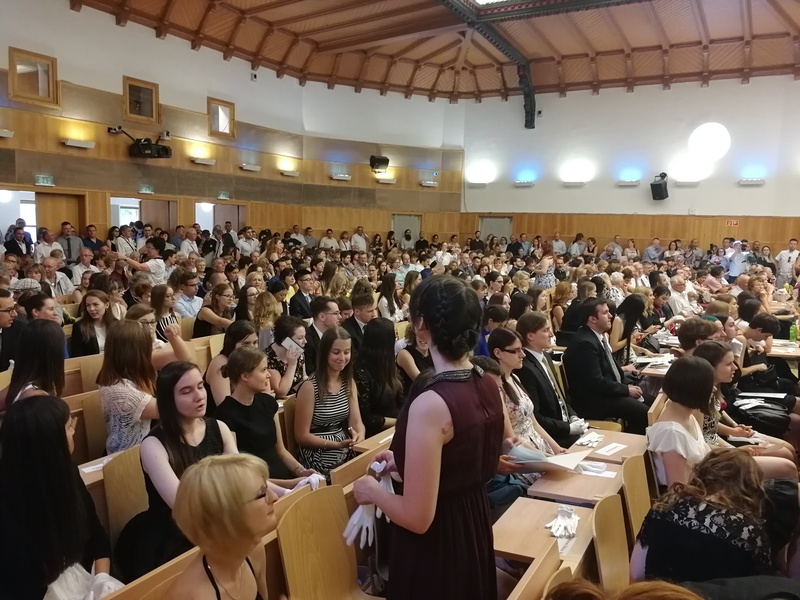 The Faculty of Humanities organized a series of graduation ceremonies this year in order to provide enough space for all the guests and students. 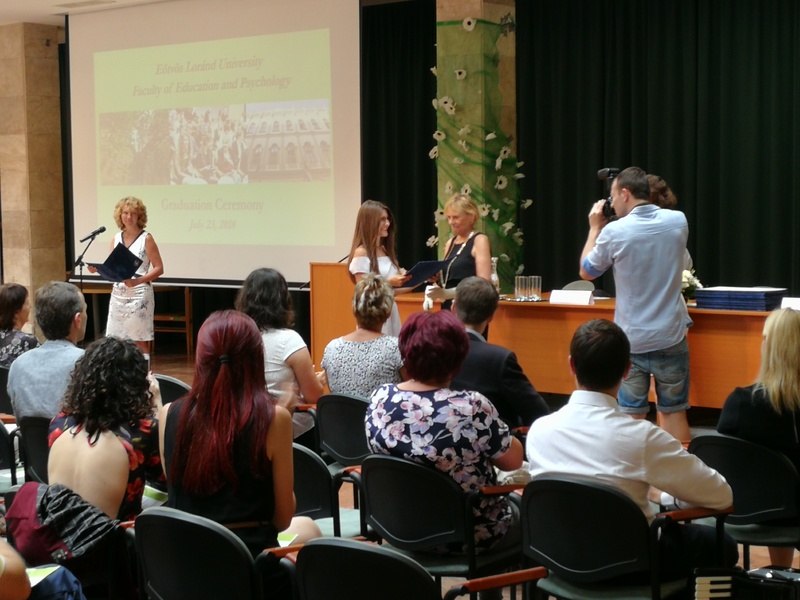 On 16 July thirty-four international and hundred Hungarian students received their diplomas. At this occasion the vice-rector for international affairs, the dean for the international affairs of the faculty, and the head of the international office of the faculty greeted the new graduates providing them useful advice and wishing them success for their future. 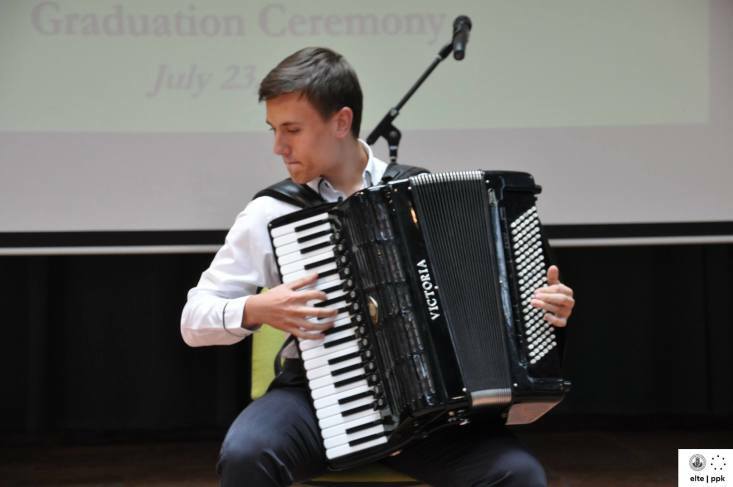 Musical performance was also part of the celebration; outstanding pieces from the 20th century by George Gershwin and Stevie Wonder made the occasion even more enjoyable. 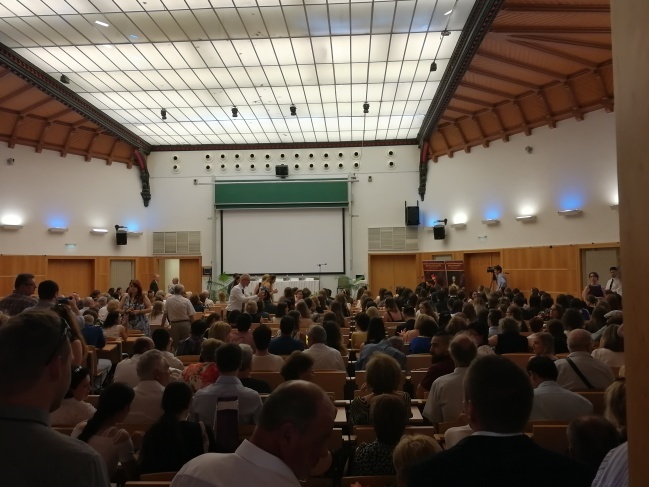 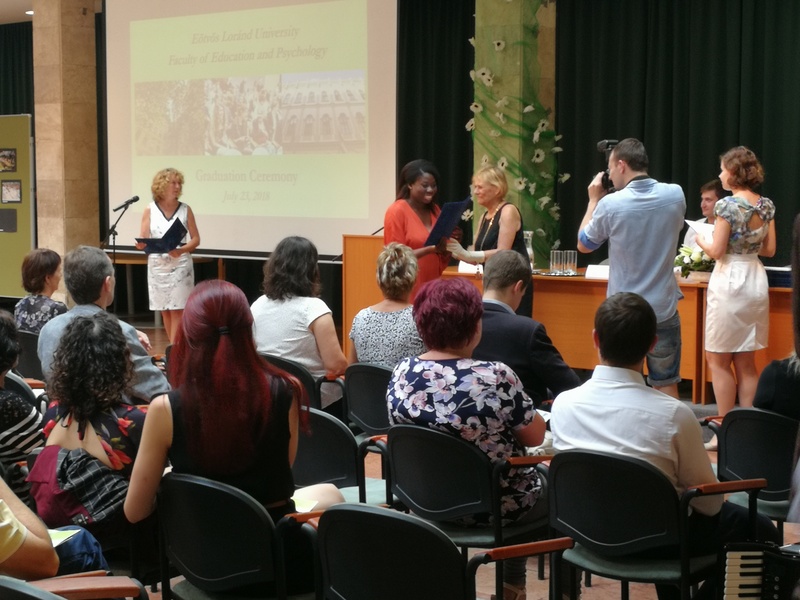 On 20 July ten international students received their diplomas at the ceremony of the Faculty of Science together with their three hundred-twenty Hungarian graduating colleagues. 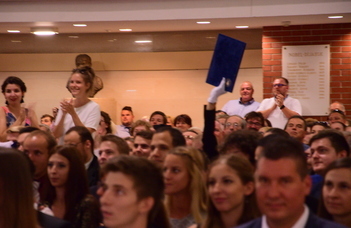 The event took place on Lágymányosi Campus. 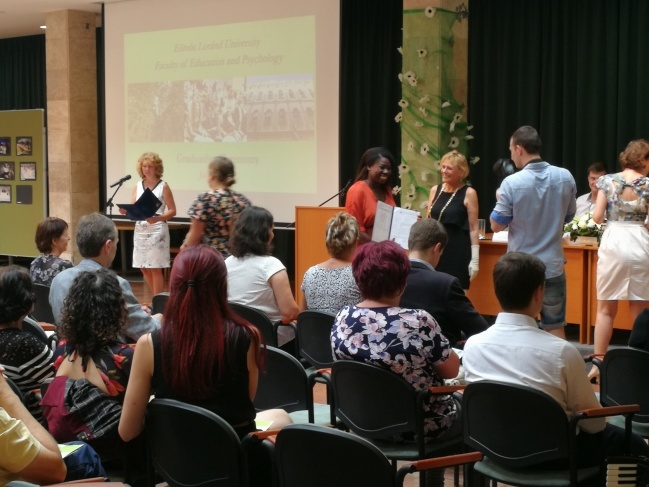 The extreme heat of the day did not prevent neither the students nor the celebrating community of family members, friends, teachers and colleagues of ELTE to share this special moment. 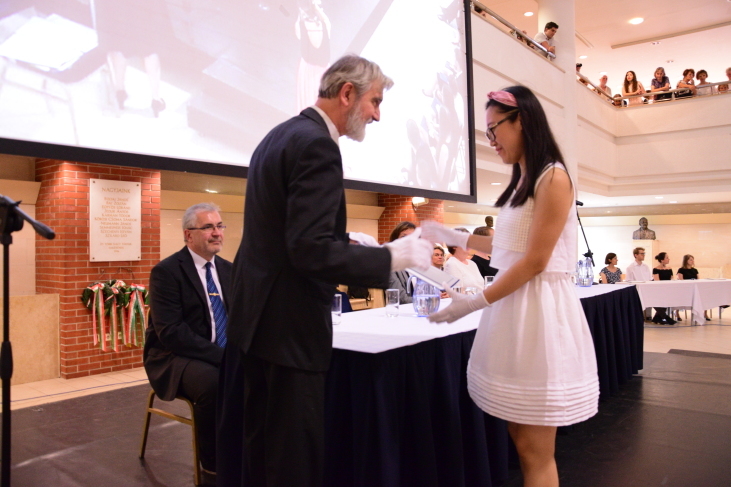 In their speeches both the dean and the vice-dean of the faculty encouraged all the graduates to life-long learning. 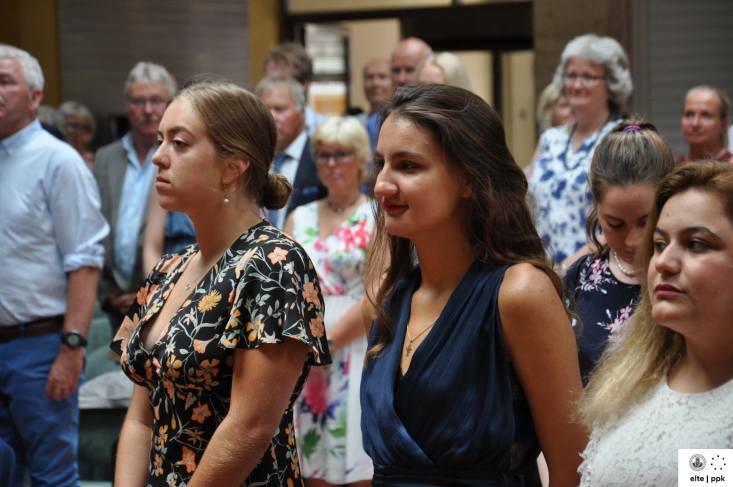 The Faculty of Education and Psychology has an outstanding number of international students every year, out of which this year one hundred-twenty received their BA or MA degrees at a graduation ceremony dedicated exclusively for them. 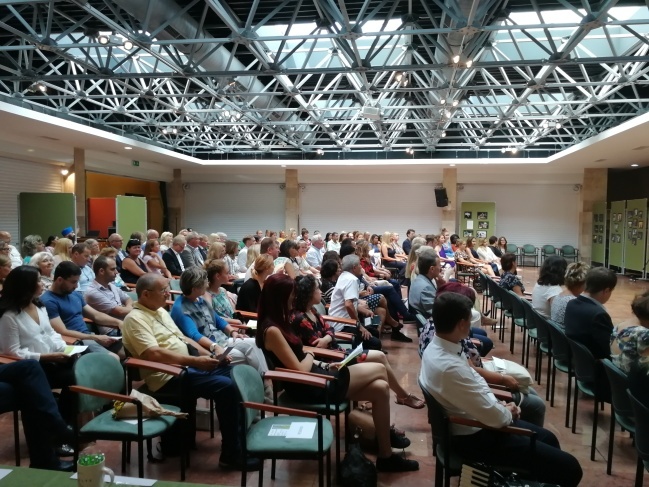 On the occasion on 23 July, the personal tones of the speeches (especially by the student addresses) within the well-structured extensive event reflected the trustfulness our international students experienced in the academic athomphere of ELTE. 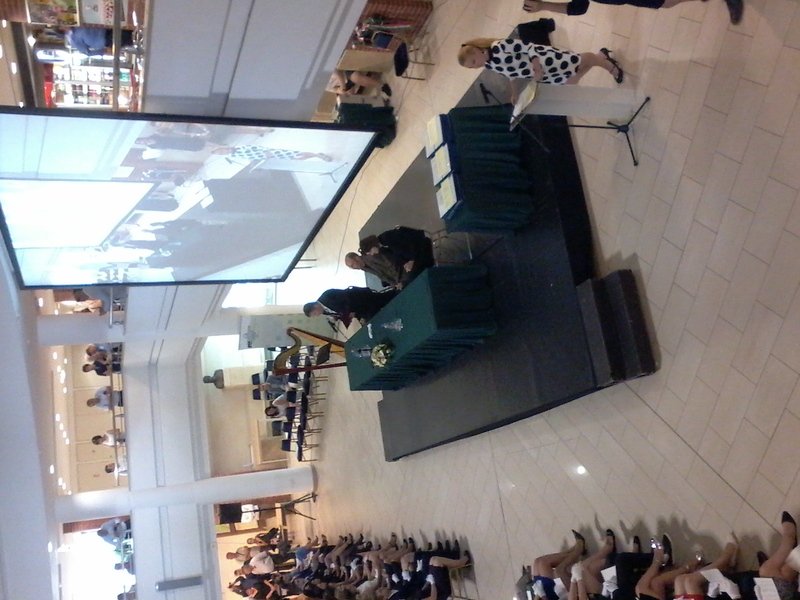 After the ceremony guests could see a small photo exhibition and participate in an informal reception as well. At the Faculty of Informatics, MSc diplomas were handed out in the morning on 27 July, while the BSc graduates received their certificates in the afternoon. At both occasions students and guests could hear about the improving services and programs the faculty offers to students and the graduates were encouraged to constant development which is necessary especially in their fields of expertise, the informatics. 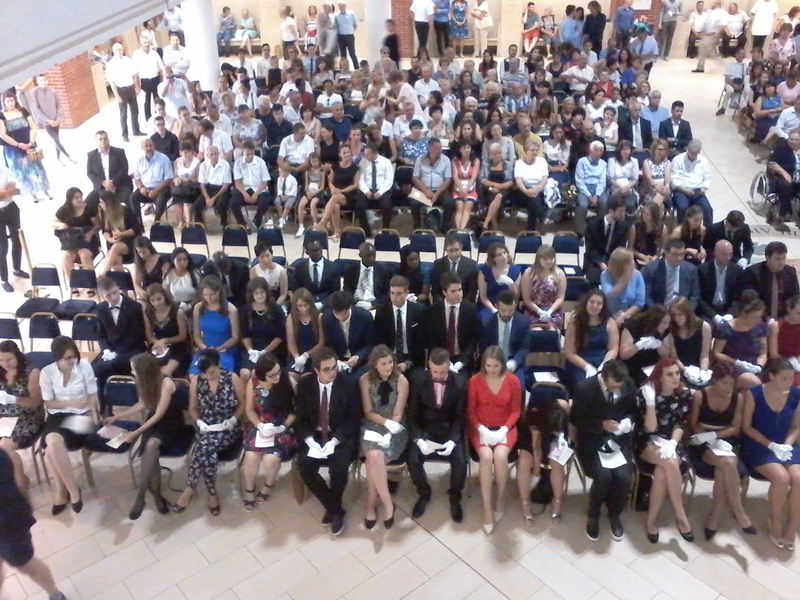 As a unique feature each MSc graduates (including the twenty-two international students) were introduced by their supervisors describing each thesis topic and some specific details or personal wishes. 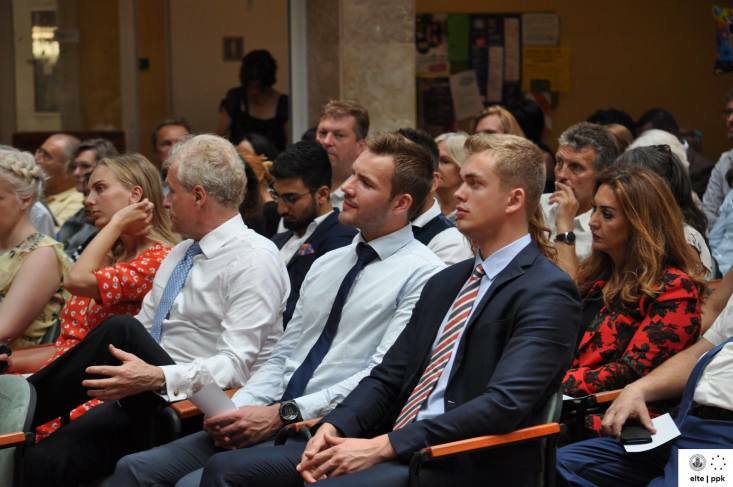 In the afternoon the six international students had the same caring attention by the dean’s small speech dedicated especially to them. 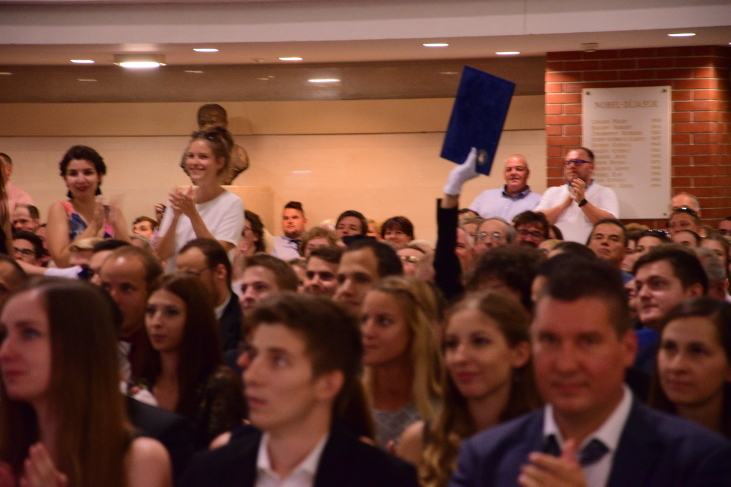 Graduation is a big step for every student and that includes their families and friends who not just celebrate their achievements but support them all the way. 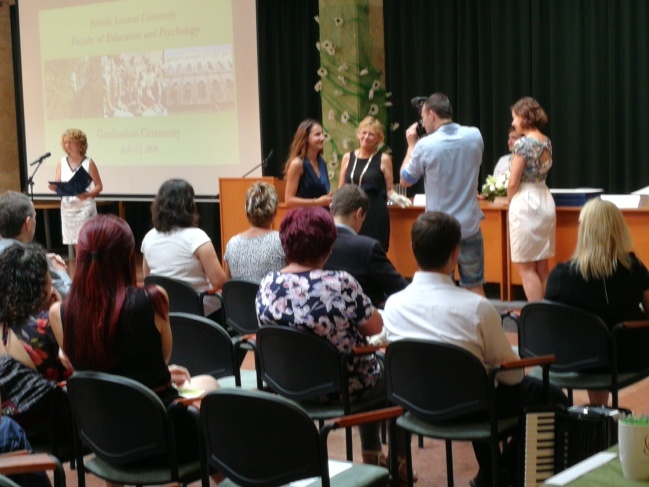 We are grateful that we could great them as well at the ELTE graduation ceremonies. 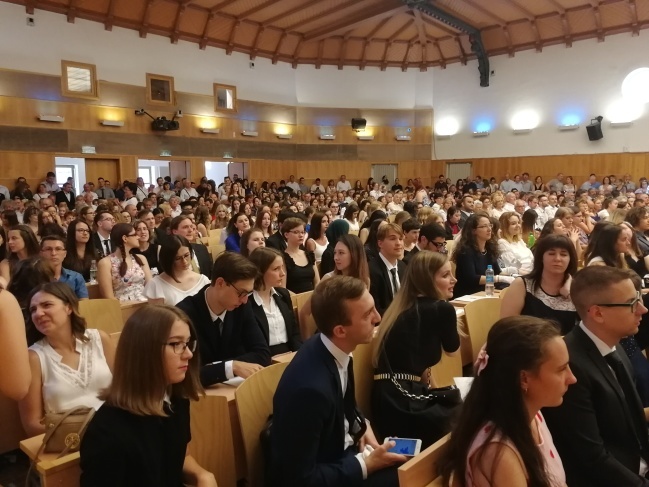 We wish all the newly graduates happiness and success for their future and hope to stay in touch with all graduates within the ELTE alumni community.